This site contains recently published articles by Philip Bowring which appeared in the IHT and elsewhere plus other articles which he considers worth reading, and links to other pages of interest on political, economic and social topics. Published by Hong Kong University Press. Reformer, intellectual, colonial governor, Sir John Bowring (1792-1872) was the archetype of the ambitious men who made Britain the leading global power in the 19th century. Born to a modest trading family, he showed an aptitude for languages which led him to literature, then to radical politics in the struggles for liberty in France, Spain and Greece. Taken up by the philosopher Jeremy Bentham, he became a figure in the literary world. But his emphasis was on action rather than theories. He became a high-profile advocate of free trade and a liberal foe of Karl Marx. As member of parliament he supported full suffrage and other radical causes. He modernized Britain's public accounts, invented the florin as a first step to decimalization, and became an industrial entrepreneur. Losing his money in the 1848 slump, he took a job as consul in Canton, which led to the governorship of Hong Kong. As Britain's plenipotentiary in East Asia he negotiated a key treaty with King Mongkut of Siam but also started a war with China. His term as Governor of Hong Kong (1854-59) was plagued with problems. But there as elsewhere he left a legacy of liberal ideas. Bowring's impact was spread over so many fields that his name has been eclipsed by those with a narrower focus. 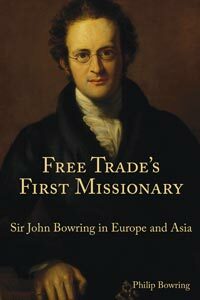 This book brings his life and disparate achievements together, with a particular emphasis on his role in promoting free trade and his much criticized career in Asia.